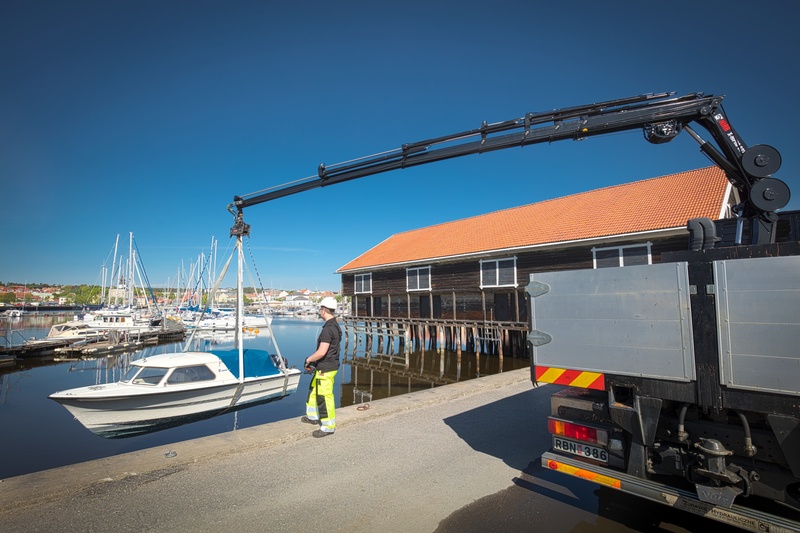 Hiab, part of Cargotec, is renewing its mid-range loader cranes with 24 totally new models which will be launched in connection to upcoming exhibitions in Elmia, Sweden and IAA, Germany. "Our new product strategy is based on our customers' way of working rather than on capacity and tonne metres. We have focused on ensuring that the new mid-range selection offers a variety of control systems that serve our end-users' everyday work in the best possible way," says Joakim Andersson, Senior Vice President, Loader Cranes, Hiab. The new HIAB mid-range cranes are available with a full selection of manual and remote control systems, which gives the operators the freedom to choose a system that answers exactly to their needs. A common feature for all new models is easy and safe mounting on the truck chassis. The whole installation is designed for the lowest possible overall weight. "The new models are at their maximum 300kg lighter than our previous ones, and this means the same amount of extra payload. All this has been done to maximise our customers' profitable business," says Hans Ohlsson, Director Medium Range Cranes. Key parts and components that require regular attention are also easily accessible. The new HIAB X-HiPro 232 model provides the smooth and precise HiPro control system, which is the most advanced remote control system in the industry. At the same time it offers the highest capacity for its size. "The HIAB X-HiPro models offer smooth operating with more speed which increases productivity. Load Stability System (LSS) ensures the safe usage of the crane; it automatically dampens abrupt stops that could otherwise cause the load to swing. Boom Deployment Assistant (BDA), that monitors the angle and position of the boom during folding/unfolding prevents the operator from making a movement that could damage the crane," continues Ohlsson. Like all new mid-range cranes, also the HIAB X-HiPro 232 is painted according to the high-tech nDuranceTM painting process to safeguard a long life and a good looking crane over time. The HIAB X-HiPro 232 will be present on Hiab stand U501:10 in Elmia exhibition Sweden during 24-27 August, and in IAA exhibition in Hannover, Germany on Hiab stand number Pavillon P35 OG A02 during 22 -29 September.